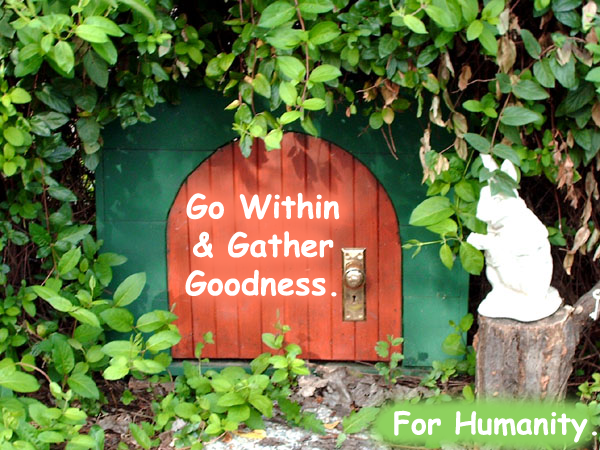 Namaste All Things Possible Seeds Of Green Potentiality! Below is a little video honoring of St Patrick and a moment of listening in nature. 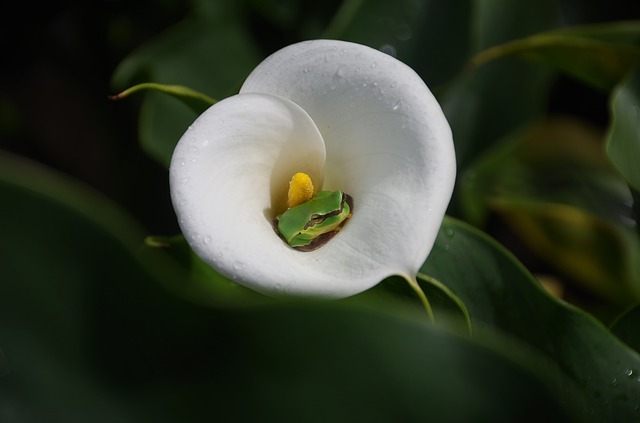 As we celebrated St. Patrick today, and as we embrace Spring Equinox this week, may we align with what it is to listen. To truly listen to the sacred voice of the Divine that whispers inside us and all around us. And as we listen, may we continue to grow and shine in the light of Love we are created of. And so it is. Namaste Grateful Glimpses Of Heart! Happy Mother’s Day Monday! I return to this sacred cyber space after what seems like a lifetime away … March and April mark the only months since February 2011, that I have not been here to express. You have been missed! And whether or not, you have noticed or missed me or this space, thank you so much for being here … here and now. Yes, our Earth Mama is always singing Love’s song and my own mama sang so sweetly to me from birth. I passed that sharing of song onto my son. As he prepares to leave for college, the song plays on in our hearts as I am comforted by the divine knowing that the song of Love does indeed sing on and on. Grace flows through us, as us, if we allow it! As I prepare the heart of my home for the ’empty nest’, I reach through moments of deep grief with faith for the fullness of grace. 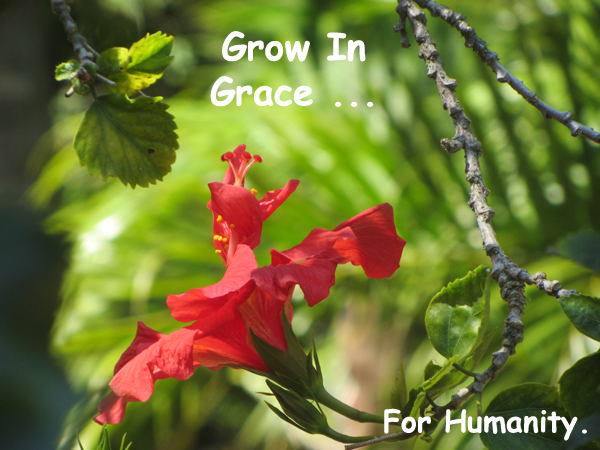 All of life goes and grows at the pace of grace. Yet! We can experience something so different when we are out of balance, stressed, and out of sync with the gratitude of how we are blessed. It basically comes down to saying a grateful YES in every breath! Allowing this transition of my son’s departure sometimes feels anything but graceful. Like an unwanted divorce, I am gifted the opportunity of renewal and new beginnings … whether I fully embrace it or not! And! My son and I are doing the natural dance of tense tango at times as we navigate his departure. You know, me the mama still wanting to control and fix things, he the 18 year old man cub saying “I got this, back off.” We are actually more good and loving than not yet the tension can surface in its capacity to facilitate the leaving and weirdly, perhaps, alleviate the grieving. You know, if our children were the same sweet 7 year olds, we would never want them to go and they would never want to leave! Evolution demands something different. The same pattern is playing out with the elders I care for. As they slowly die and I devote time and energy to their journey, I know that I will miss them less when they are gone. When a soul lets go of a vibrant, active body and life, we feel shock and can miss them greatly. When a soul plays out their lifetime in a body and Spirit less and less engaged and capable, (for me) it becomes so much easier to let go and bless them on their way. Evolution is to let go of what was so we are better able to embrace what is! The other piece of family life that is coming to completion with the help of angels and ancestors is the cleaning out and selling of the old family store and stocks. In the spring of 2015, I posted pictures and commentary of some of that journey, the storyline runs through 50 or more years, and generations. The most beautiful, divine order piece of the story is that the old store and home is being purchased by a dear man who will restore it back … he’s keeping the old animal heads and even vowing to re-paint the family name on the window! This will be such a gift to the community as well as the family. I am in awe of the divine order grace. I will save the majority of the wrap up for another day yet suffice it to say, this marvelous May, our ancestors are being set freer on their way! And me too! This summer, I will be turning back to some intended work to add interesting, inspirational Vintage Voices to the Leaping Literacy Library! Memorable Musings! 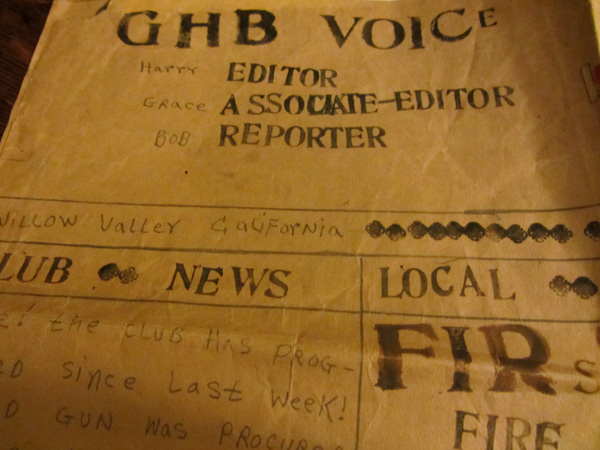 These handwritten newspapers from the 1930’s tell quite a story of yesteryear ~ including my dad cleaning 400 rabbits coups for his Uncle Al for $1.50 per week! The Leaping Literacy Library! As reported, we are replaying our ABC’s for Humanity from 2016 this 2018 calendar year on our daily Play & Pray Calendar. My efforts to change the Free Shelf every 2 weeks in keeping with the letters has fallen somewhat short. Hence our May Shelf is holding I J K! Yay ~ let’s play! Though I have allowed a pull in too many (see, I am not enough!) 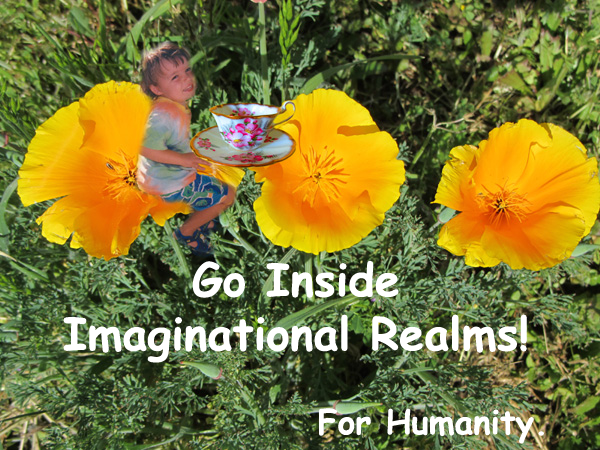 directions, my heart and life path remain dedicated to the realms of imagination and literacy! As part of my life’s work, I continue to chip away at new and revised Laurie StorEBooks for the Leaping Literacy Library. Here is the revised King Of Ing which so makes my heart sing! I hope it will help your heart at least hum as well! So much to ing this spring! Yes I am creatively and spiritually blessed even with the life stress! At times, life has been more than overwhelming in terms of keeping up with Jeremiah, dad & the elders, ancestor treasure business resolving, my work at Spiritual Life Center and me staying true to me and to my work life callings. As I align with the shine of my divine design, I know JOY is a worthy barometer! Time, Attention, Love. We want to be seen and heard, encouraged and supported. 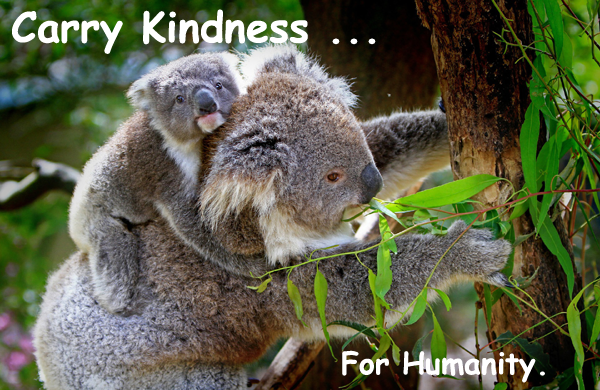 And in the midst of all the ways we triumph and fail … again and again … We are ever called to carry on with TLC and kindness for ourselves and all our kindred connections! 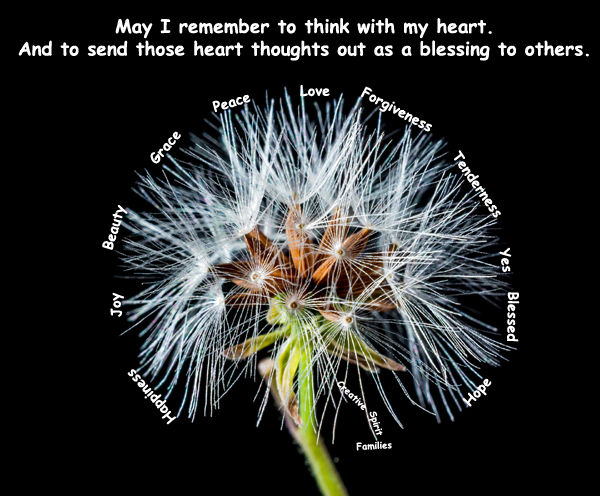 Wherever and however you are this mindful May moment (or any magical moment you happen by this sacred, cyber space), my ultimate wish for you and all living beings is that we allow grace to guide our hearts and homes … ever freeing us to Carry Kindness and Live Love! Thank you again for being here. Namaste, Love! Calendarize more freedom, joy, and family fun! Join us for Feathers Of Freedom Family Camp! Fovever Free In the Sea Of Divinity! Namaste Divinely Designed Freedom Floaters! Fleeting July Greetings! Thank you for being here for this month’s communication as it comes in these final days of jubilant July. As we began the month with our annual American celebration of independence and freedom, we will attend to that important awareness and theme here and now. 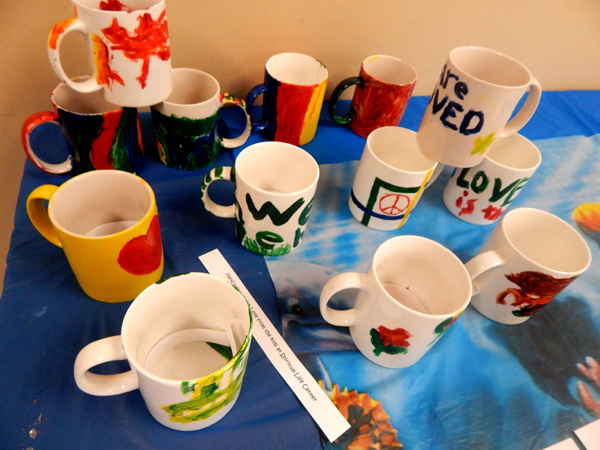 As a gateway, here is a colorful recap of our SEAing the Divine co-creation celebrations this month at Spiritual Life Center! For indeed, creativity sets us free as an open doorway to spirituality! As reported last month, my sacred Sundays are now in spiritual community with the littles and middles at Spiritual Life Center. 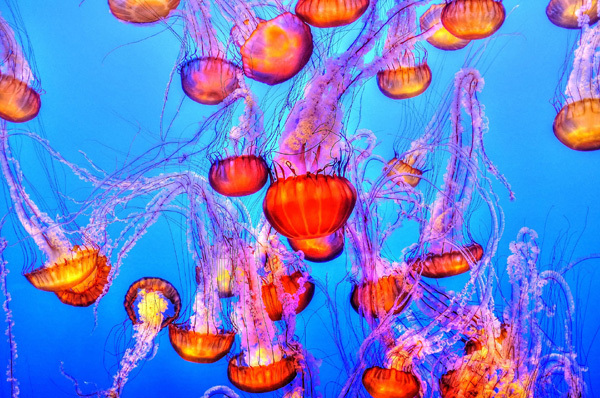 We are finishing up a 9 week inspiration exploration celebrating our divinity with the infinity of the sea! Our weekly Creature Teachers have helped us explore our own divine design and we have had some wonderful, colorful co-creations of art in our Sunday celebrations! 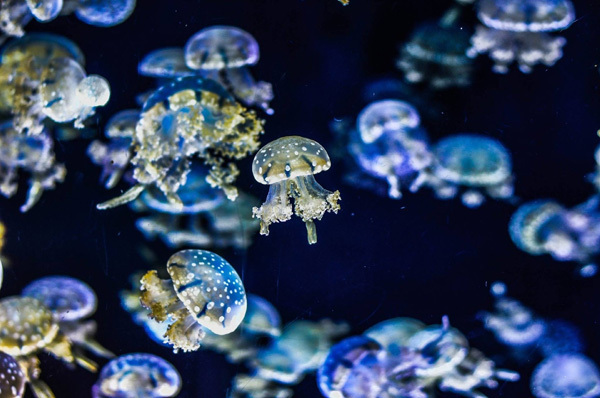 Each Creature Teacher is truly an AHmazing testimony to divine design. This intersection of information & inspiration ~ science and spirituality ~ is working well for us. Shout out to my super son Jeremiah who, over the years has truly opened my mind and heart to the wonders of science! And! YouTube is quite the place with a plethora of possibilities we can integrate into our celebrations. 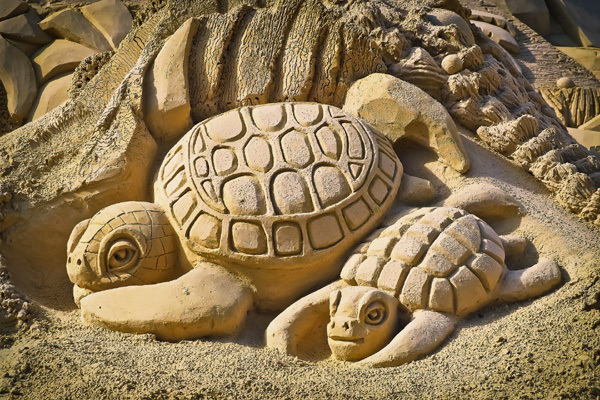 Here is the YouTube video of sea turtles we had going pre and post program this last Sunday followed by a brief overview of this month’s Creature Teacher’s and the spiritual principles we explored with them. The finished integration of all of this information & inspiration is still forthcoming to the Leaping Literacy Library spiritual literacy section so stay fine tuned if you’re interested in any or all of it. Either which way, for now, enJOY this grace filled glimpse as we breathe free in the Sea of Divinity! Freedom is truly found in The Flow! Week 2: We explored all kinds of Breath and Play ~ including Bubbles ~ with Dolphin! 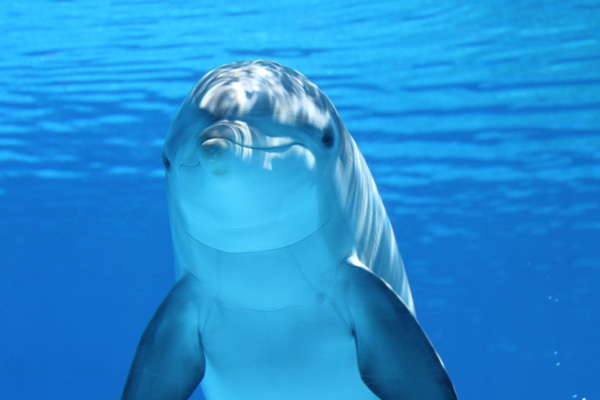 Creature Teacher Dolphin knows to Be Here Now and Breathe! 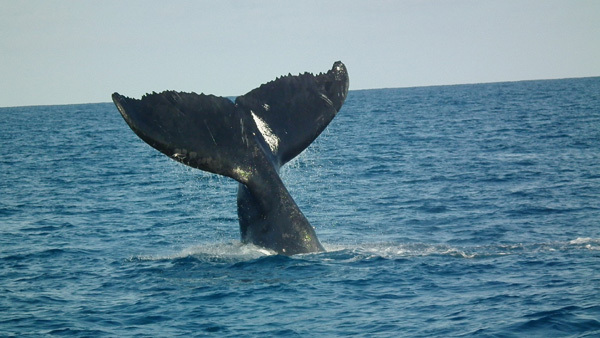 Week 3: We told whale tales including a metaphysical version of Jonah with WHALES! The biggest creatures on earth have a lot to teach about BIG LOVE! 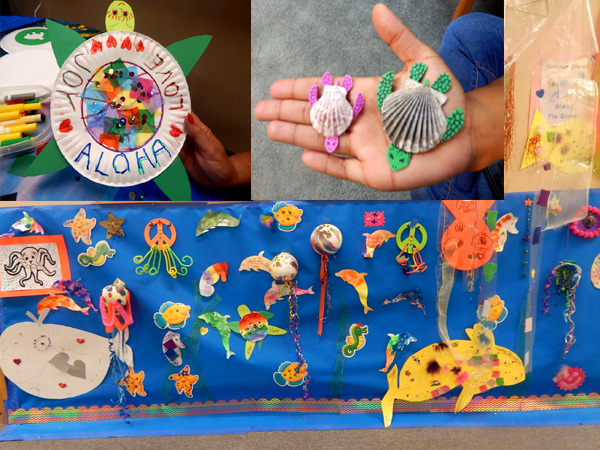 Week 4: More stories and an array of crafts and play were explored with timeless Turtle! 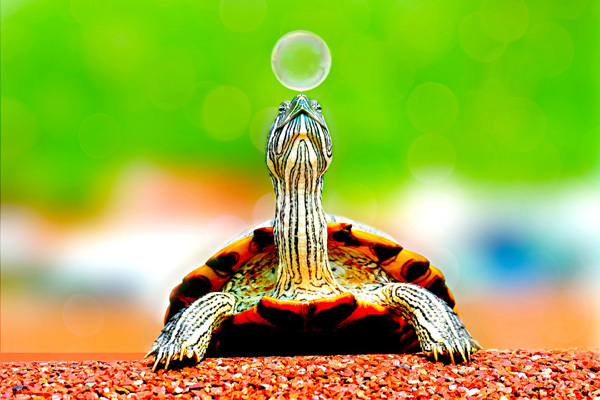 Turtle teaches us that we are always home and protected. And that yes, slow and steady makes for the pace of grace which is the surest way to win any race! 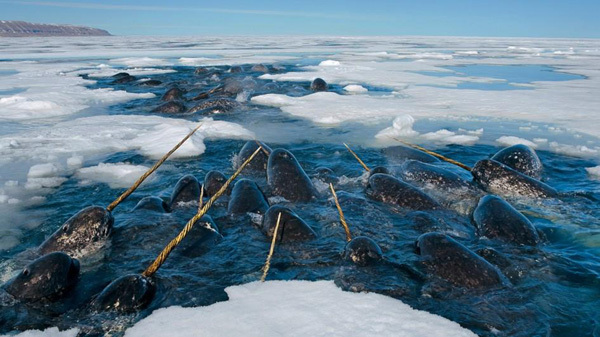 Week 5: This upcoming 5th Sunday has us embracing narwhals, the unicorn of the sea, as our Creature Teacher of divinity! AHmazing Artic Sea Photo ‘borrowed’ from Kids National Geographic, thank you! Our Narwhal Creature Teacher helps us SEA, we can Be Unique & Swim Free! So! Yes, good hearted times this month! I have also had plenty of family as always … a few trips to the mountains … dad’s 92nd, Jeremiah to band camp, visiting Silver Lake and visioning for our annual Feathers Of Freedom Family Camp coming right up August 18-20. REALLY looking forward to being in the sacred Sierras with the beautiful families and peeps of all ages in our creativity & spirituality playtime! It’s not too late for you! Be a Free Spirit with us for this wonderful weekend! In case you are called, we still have a cabin for you! Our self guided Forgiveness Footprints Path is one of many optional opportunities at Feathers Of Freedom to playfully explore & free your heart! DO join us if you possibly can! And if you can’t calendarize for this year, make it part of next summer’s sizzling plan! So! 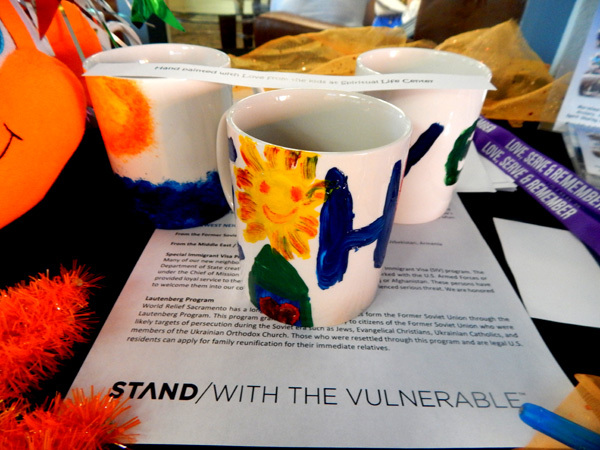 Definitely yessing the blessings of these colorful, co-creation days! The more I say yes, the more I am blessed and therein lies the heart of freedom! Sometimes I say yes to keeping quiet until I am ready to speak; allowing Spirit to help me assimilate what is and what is mine to do in the midst of it. The pervasive political news remains in high drama mode with much of it still reeking of injustice. I cannot be on the frontlines of those standing up against bullying though I certainly, gratefully bless those that are. Every day it seems, there is yet another breaking story that if I let it, can break my heart. The recent speech of Trump to the Boy Scouts horrified me yet what is worse is the cheers and applause some of his bullying comments were met with. No matter what side of the red, white, and blue each of us resides on, my continued prayer is that we teach our children to be better than we and our ancestors have been in living the fairness and truth found in our nation’s founding principle of “Freedom and justice for all.” Unfortunately, we still have a long way to go. Yet, each of us wakes free to decide how we want to live and give the gift of liberty! 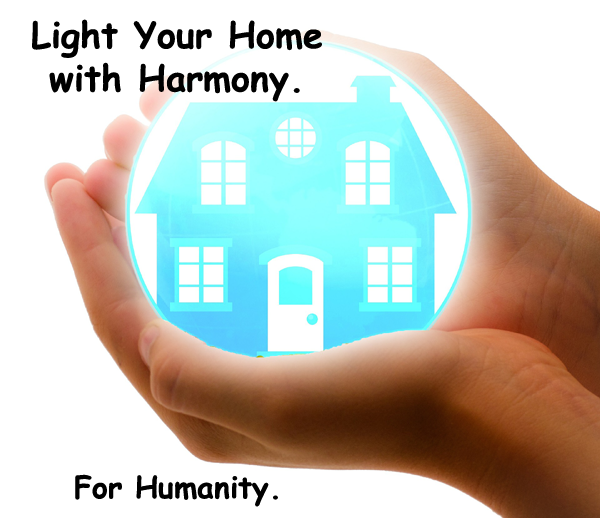 For me, I am staying centered on my path of creativity and divinity. I have some really BIG news in my little corner of life as I am in the middle of taking a giant leap of faith! And! I am going to share it here next month 🙂 ~!! What I will share for now is the 3 guiding principles that have freed me up to face my fears and go forward with fortitude and faith! Perhaps they can help you too! 1. Divinely Aligned! Repeated visions and whisperings are from my holy, high self, angel team, divine guidance. If it keeps returning, it is mine to do! 2. Boundaries! In the wake of caring for aging and body failing elders, I choose to balance what I do for others and embrace this time of my life where I do have health and energy to co-create what I feel is mine to do. 3. Divine Disciple! I am choosing to use discipline and commitment as partners in freedom! As I master more of myself in the wake of inevitable doubts and fears, I am better able to stand fully in the power of my heart, taking right action for that that I am called to do. As I employ this simple yet complex trilogy, I am free to be more fully me! I look forward to sharing the progress of the aforementioned leap of faith in a co-creation manifestation celebration next month! Thank you, thank you, thank you for sharing with me this month, this mindful moment. Whatever the callings of your heart, may you be forever free to keep co-creating them joyfully! Namaste, Love! Our Leaping Literacy Library has some jubilant July offerings on our Free Shelf incase you missed them ~ August will be here soon! 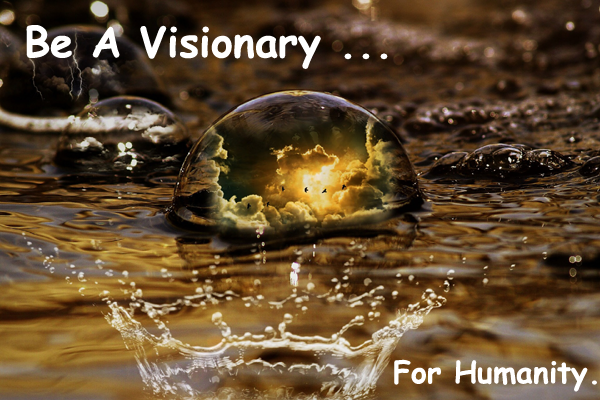 Namaste Visionary Voters ~Vibrational Voices Of Vision! I greet you in gratitude for this moment of time in the Circle of Creation. With a vibrational remembrance of unconditional Love, let us breathe our divine essence now. Deep breath. Let us make space for the still small sacred voice within to be heard. In this week of Halloween, Samhain, All Saints and All Soul’s Days, Day of the Dead, and the last few days before our American election, there are indeed many voices swirling all around us and inside us. They all carry vibrations and as vibrational beings in a vibrational world, our emotional, physical, and spiritual bodies can’t help but respond. We are response able ~ and responsible for all of our reactions and vibrations even if they are all too often still playing out in our unconscious reality ~ you know, the one that shows up as THE reality?! And! 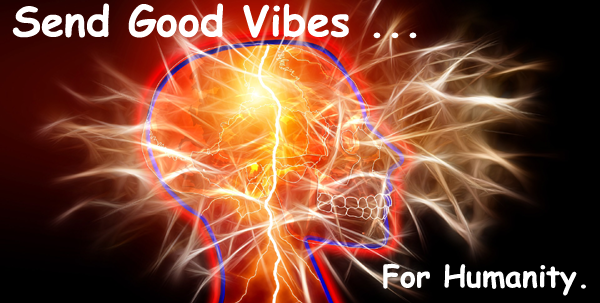 We can, in every moment, choose to be and feel the GOOD VIBES of the ever present, omnipresent sacred in us and all around us! So! As awake and aware conscious beings on a spiritual path, we can name and claim the visions of our hearts as the reality we are shaping ~ for ourselves and others. The holy days of this week hold vibrant voices of the past that tell us much of what we do and how we do it ~ should we choose to listen! Briefly, the Pagan or Wiccan traditions embodied in Samhain, were, and are, all about honoring the turning of the seasons including the remembrance of our ancestors. Halloween precedes the Days of the Dead/Souls/Saints as part of this remembrance. I like to think of the playful dress up of Halloween as the dead’s way of reminding us to be anyone and everything we choose while we’re still alive in these bodies! If it’s one thing I have learned from all the elder care and in asking the ancestors and departed friends for guidance, it’s DON’T WAIT! (And ya, I still procrastinate! Been working on this post all week ~ in this space and in my head! ~) Visions are all too often extinguished out of fear! We do this to ourselves and to each other. Again, in keeping with the holi-days of this week, did you know that the word witch simply means wise one?! When patriarchy and Christianity were on the rise, the wise women ~ witches ~ were such a threat that there was a holocaust killing between 9 and 11 million people. We will tend to this next time in more deserved detail ~ in the W post! ~ yet for this vibratory discussion of voices, let us stay awake and aware that society all too often silences the voices of the wise. When hundreds dressed in riot gear showed up at Standing Rock shooting rubber bullets and pepper spray at the ‘Water Protectors’, the buffalo came too ~ hundreds of them … in their earthly and divine wisdom, they came seemingly to protect the protectors. Our Mother Earth has such wisdom for us and (too) many refuse to listen to her insistent, wise voice! Our indigenous people have always listened, and we in turn, as a society, don’t listen to them! Standing Rock is the current setting for one of the most profound spiritual uprisings and perhaps one of the biggest shifts of our time. Because of police violence that broke out there last week and has continued this week, more people are hearing about it though it seems to be still a trickle into mainstream news. In answer to my own heart hurting as this escalates, we have a page on the New Thought Families website with some videos about the big story and some of the smaller ones … some of the faces in the now 8,000 that have gathered, like the beautiful young woman, Sky Bird Black Owl who gave birth there. In case you need a short recap; Standing Rock is a native American reservation in North Dakota. The Great Sioux Nation retains this reservation in accordance with the Fort Laramie Treaty of 1851. They started camping out the 1st of April (more than 7 months ago!) to protest the Dakota Access Pipeline project which threatens the drinking water for millions and has been tearing apart sacred burial grounds that should be protected under the treaty. More than 350 tribes of indigenous peoples have now come to Standing Rock to join the Water Protectors in their peaceful, prayerful protest of the ‘Black Snake’. They are unarmed. They are in constant prayer and ceremony. And they are being attacked even as the construction continues (though it is supposed to be on hold). The voice of big oil is drowning out the wise voices of our indigenous people. Part of the divine order yes in all of this is the joining in solidarity; some of the tribes praying together used to war with each other. I pray for their safety, and for the sanity of humanity to once and for all stop this destruction. I also pray that we, as a nation, will hear their voices, vision, and vibrations for a more harmonious way to be in relationship with our Creator, our gorgeous earth home and with each other. Aho! 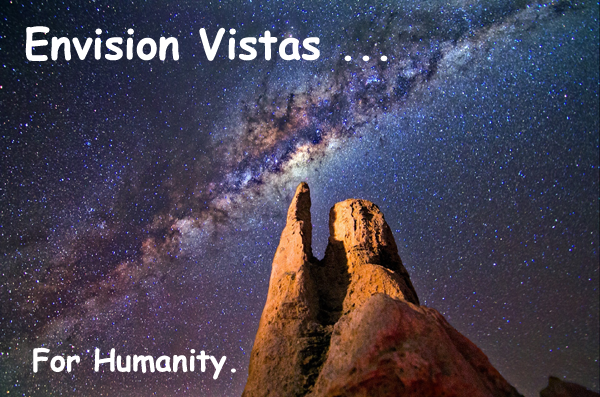 May we all see in sweeping vistas of divinity … For Humanity! And then of course there are all the prayerful whispers and angry shouts accompanying our upcoming elections. With a particular focus on our unprecedented Presidential race, my heart has also been hurting with what seems like so many around me in my rural town, and indeed in my own family who are voting for the man endorsed by the KKK. I voted this week already, had an emotional and cathartic phone conversation with a female family member followed by a long FaceBook post. So for now, I am back in divine order peace trusting the highest good is unfolding for all. 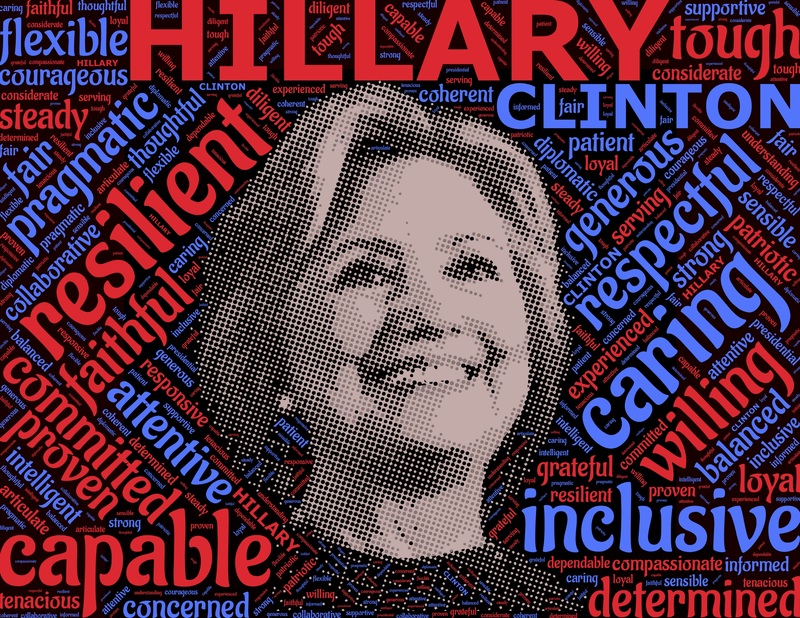 I did vote for Hillary Rodham Clinton and I am praying for her and for all in this turbulent time. Our country and the world deserve a leader who listens as well as has a strong voice. In my prayers for humanity, I absolutely join with those at Standing Rock in hope that our government can and will listen to the wisdom of the people and of the buffalo ~ even over the roar of all the other accusations, name calling, and ugliness that has become this election. Perhaps more than ever, this is a vote of character over and above party & politics. 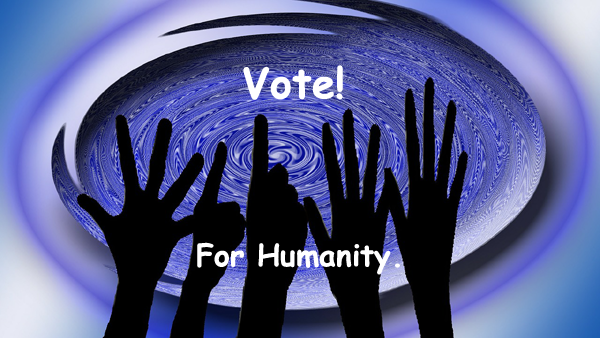 I Am Voting For Humanity! 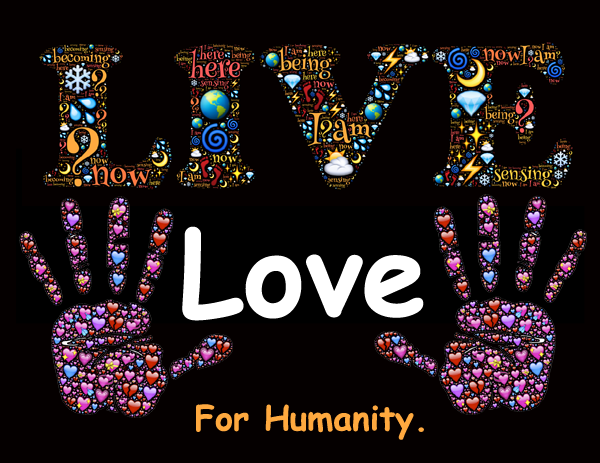 You know ‘For Humanity’ as our Spiritual ABC Theme this year ~ little did I know where we all were headed … Glad Spirit did! Ultimately, as a species we are waking up into more and more of our truth as spiritual beings. We are having some pretty extreme birthing pains as evidenced in so many angry voices … voting and otherwise. Yet! Each voice, and each vote counts ~ yours, mine, every voice! 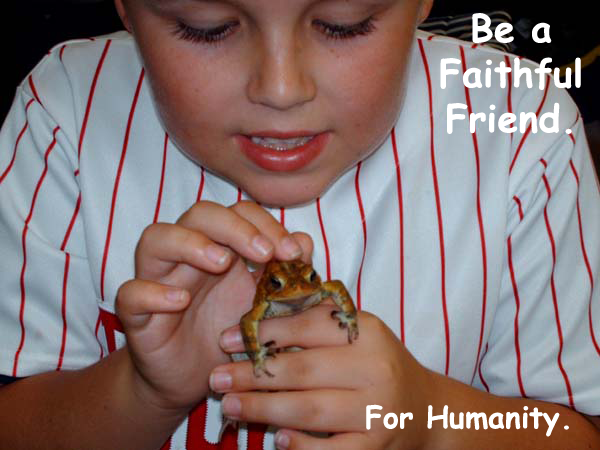 Let us not lose faith or hope in humanity and our evolution ~ no matter what! And! Let’s join our voices together in solidarity and song! 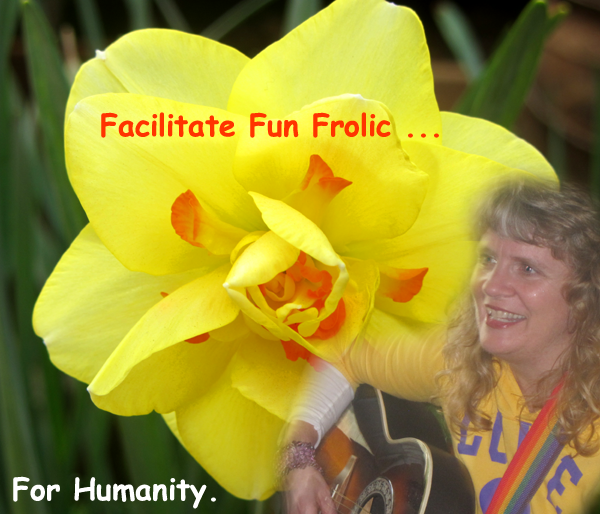 I wrote the For Humanity Song last January and when friend & SoulPlay Storyteller Ruth Humphreys ( & sometimes daily Play & Pray Calendar narrator!) interviewed me for her Live Your Childhood Dream web show , we thought of doing a compilation music video with faces and voices from all over … the world?! So! Before our bittersweet 2016 ends, here’s the song with your invitation to sing along! Our webpage has lyrics, chords, and a download of those + mp3 and this singing video + Ruth’s video with the backstory. Page is HERE! We are looking for as many participants as possible this month of November to sing some of the song on video and send it to us for a group compilation video to come out in December! The video below is just me singing it in my living room the other day ~ you can sing it anywhere too. I sang it lower for what will hopefully be a better key for you?! We would SO love YOUR voice singing along! So, yes, our vivacious V’s are already making way for wonderful W on our daily Play & Pray Calendar at New Thought Families! Today, we are reverently connecting with water and I add here and now deep gratitude & protection for the Water protectors at Standing Rock. By the end of the weekend, W should be the new feature on our Leaping Literacy Library’s Free Shelf ~ so grab your V’s ~ including voicing your dreams with SoulPlay Visible Dreamer Jean Kathryn Carlson! Thank you so much for being here in visionary vibration as we voice our vote for ourselves, each other, our planet home, and for Humanity! 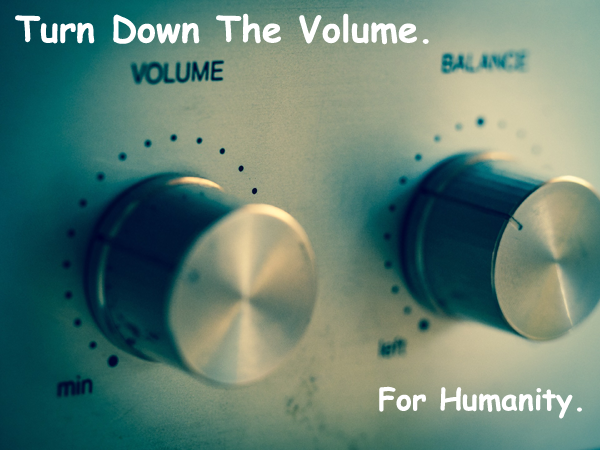 May you continue to envision vistas, voice your visions, and turn down the volume on all else when you need to. Let us be in faith filled ThanksLiving with the truth of the divine that is always giving us the free will blessing to co-create our highest and best! Namaste, Love! Namaste Glorious, Glowing, Growing Goodness! Again, thank you for being here and for the thread of Love you are weaving your own glorious grace filled space. I am grateful for you. Namaste, Love! Our Leaping Literacy Library Free Shelf features G reading and singing as well as some green living and grief games with SoulPlay Grief Guide Uma Girish ~ sign up or in with your Free Library Card. 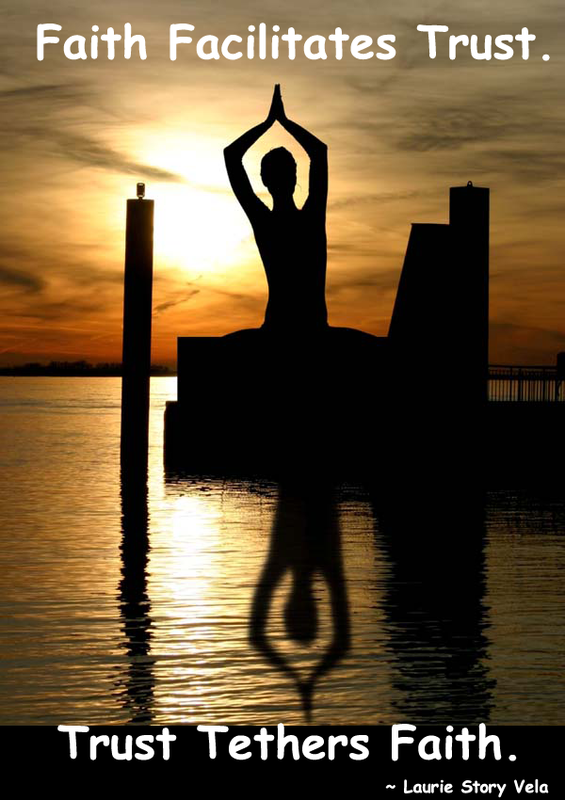 Namaste Free Floating Feathers Of Faith Filled Fulfillment! I greet you in celebration of Equinox, Spring, New Year & Christian Holy Week/Easter ~new beginnings all noted on our daily Play & Pray Calendar pages at New Thought Families. This also comes with a prayer for all those in Belgium who suffered the latest, large scale terrorist attack from Isis this week ~ the insanity of humanity that can indeed, try our faith. As sad and unsettling as it is, I remain in humanitarian solidarity with the goodness and light that will prevail. May we all continue to send heart thoughts out to our global family. On the home front, I am still physically and mentally recovering from our Disney trip last week ~ and the cold that invaded my tired body upon arrival home. I am still processing how, in the happiest place on earth, there could be so much discontent. Here’s a shot from a parade that had me grinning ear to ear (Chesire Cat style!) the whole time. Check the crowd for smiles … ~! Come on! Take the cruise in your imagination right now! 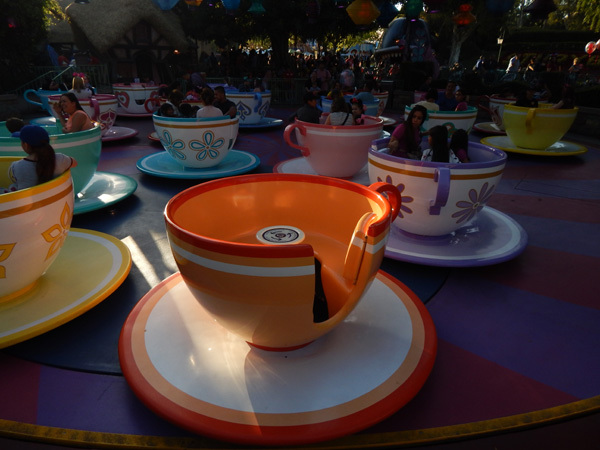 Or maybe your prefer to twirl in a teacup? There’s one waiting for you! Whee! Always free to be! The 2nd and full day in the park , I hung with a buddy named Faith, who tortured me with riding Indiana Jones (I don’t do roller coasters!) 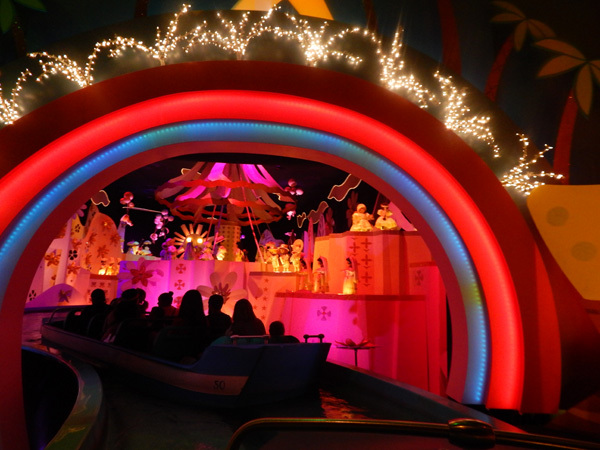 and I tortured her with Small World (seriously, what’s not to love?! I went four times!) and we found ways to be in free flowing choice, cooperation and communication throughout the day. Faith was one of our students who is recovering from injuries so getting through the park was extra challenging for her. I think we made a good team and we both had a good time. It was a warm 86 degrees and that, along with long lines made for what seemed like an inordinate amount of grumpy faces all around. I did my part to remind people to smile and enjoy the ‘happiest place on earth’ though in the end, everyone always has that freedom of choice. The experience has made me deeply ponder the human propensity to suffer ~ even when we’re greatly blessed! Just what makes it so counterintuitive to fly free?! In getting back home, I was piled up with the ‘homework’ of 2 homes (ours and my father’s) + the physical cold and the depressive darkness that sometimes descends upon me after vacations and times of visioning ~ which this trip was big on. 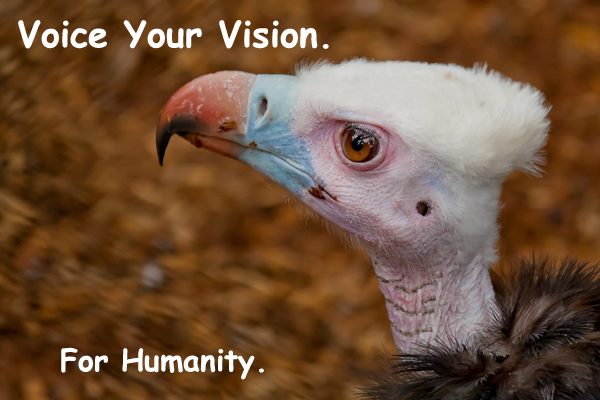 It can be overwhelming for me to facilitate what is after seeing so much of what can be. In this Holy Week, I am reminded of the lessons of Jesus … as he goes from celebratory palm fronds through betrayal, his Garden of Gethsemane anguish and the horrible crucifixion and suffering endured before his ultimate Spirit Rising of Easter. I look around my personal circumstances and that of our world … the unspeakable Presidential primary voting in this country and all the violence and unrest in so many places worldwide. So much suffering and unfairness that seems to prevail and yet … I have faith in the light. I have faith that always and in all ways the light will triumph to free each of us and all of us from the darkness of our own imprisonment. And! We know that darkness is required for germination. So it is with faith that we allow our seeds to freely germinate in the darkness and grow with grace into the light. And we choose. We choose to know that humanity can overcome all darkness to grow on in grace filled light and Love. No matter what. 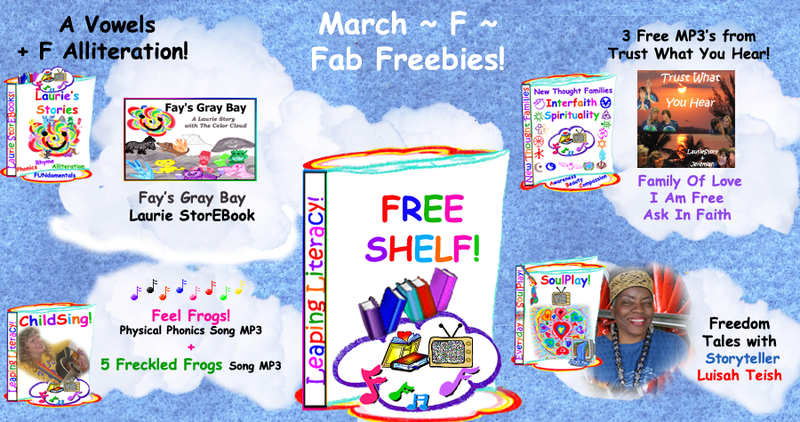 As for our little corner of Leaping Literacy, there’s a few more days for featured F on the Free Shelf; we start the cross over onto G on Friday ~ Good Friday to be exact! Good Friday. Whether or not you observe the Christian observance of Christ’s crucifixion this Friday, may we all pause to bring the light of forgiveness, faith, fortitude, and freedom to the family of humanity … especially to those who perpetuate the crucifying insanity. 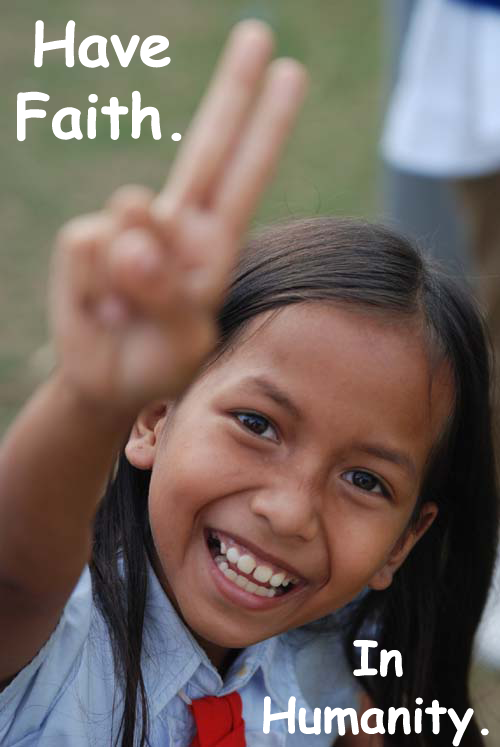 We can and we will continue to grow a garden of goodness through the faith filled freedom of grace. It does indeed live in each of us. And so it is. Namaste, Love! P.S.! We’ve extended early bird pricing for one more week to save on Freedom Family Camp registration! And! Happy Easter Blessings, rollover surprises onsite here. Namaste Fellow Faithful, Fun Filled Friends! Thank you for being here for this week’s trust walk celebration of faith and the fearless letter F! Our daily Play & Pray Calendar is freely flowing faith this week and next. In our Creative Spirit Families alphabetic expressions, F has found us still and forever catching up yet fully tethered in faith trusting forward motion! 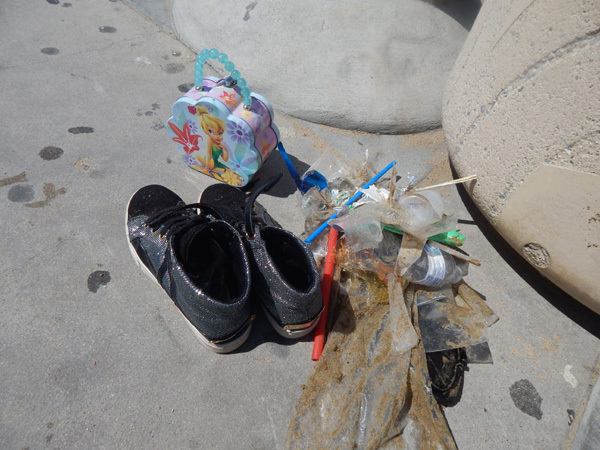 For your part, I hope this finds you floating free as a feather … at least in this mindful, full breath moment … For my part, I spent the day on a bus with the (Jeremiah’s) high school band. In a hotel tonight, they’ll play at Disneyland tomorrow. I, the band mom, am here in service to many, sometimes frayed and frazzled, callings of my heart. In the freedom and fun loving part of things, I am here in service to being a mom to many, at least in tiny part, and I am here for the Spirit of fun and frolic. Feathers, stickers, wings, glitter … I’ve got it all … following the faith filled footpath of … fairy … ME! Playful me is here to experience and facilitate fun for others ~ in twinkling, trusting fairy style! Tired me is wondering what was I thinking?! Business me (yes, there is one!) is forlorn at the fallow efforts actually applied thus far for what was mapped out for Membership March. Yes, my money making efforts seem to (yet again!) be going by the wayside. And! In the midst of all of it, I sit here now tethered in faith and trusting divine order. The moments and days leading up to this getaway have been full to the brim with family service infused with ongoing fortitude and forgiveness for the work play of Leaping Literacy Library and gathering as Creative Spirit Families. This last week, a plan with beautiful partnership came together for our first local PlayShop of 2016 + some of our beautiful families are utilizing March’s early bird sign up for Feathers of Freedom Camp. YES! 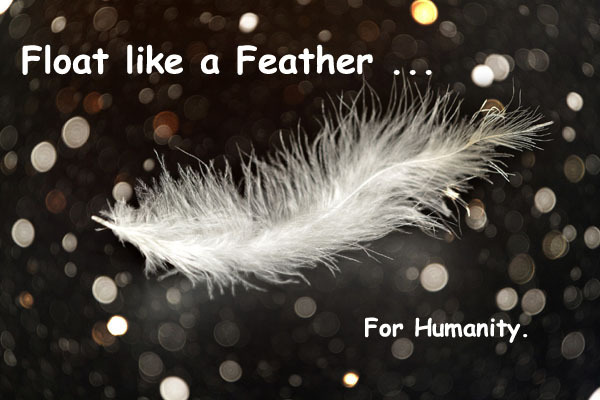 Faith … Freedom … And Feathers! In the case of our family camp, I got the feeling far too many times that the word faith brought a question of religion. Our camp (and other work) holds space for any and all religious tolerance, education & inspiration. Yet we are all about Spirit of the heart, Love expressed in so many ways … hence, the freedom! Our camp itself has a plethora of activities to choose from so denotes the freedom to choose the experiences most fitting for each family. We come together to be creative community, and to embrace the holy within each of us and all of us in playful, appreciative, celebratory ways. The sacred Sierras that nest us for the weekend are soul nurturing sustenance. The whole of it makes room for feeling more freedom. MMM good! My favorite fun and frolic! Do join us if you’re called! And in a few hours … I’ll be in Disneyland for a different backdrop of family fun. 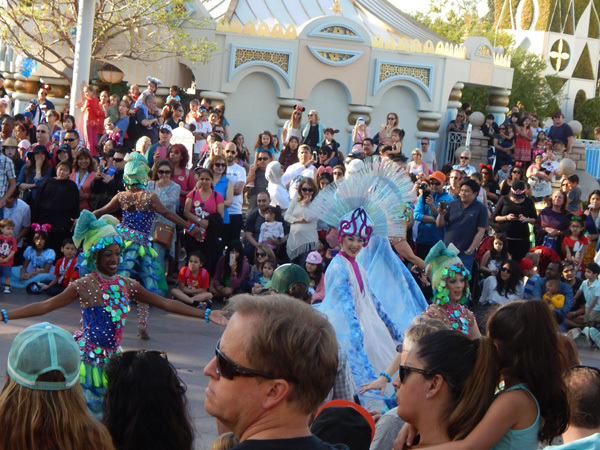 Some years back, while in Disneyworld, I had a huge vision of Creative Spirit Families … theme park style! ~ And so in divine order faith and trust, I am open to whatever fun, frolic, and forward motion awaits me and our merry band tomorrow! 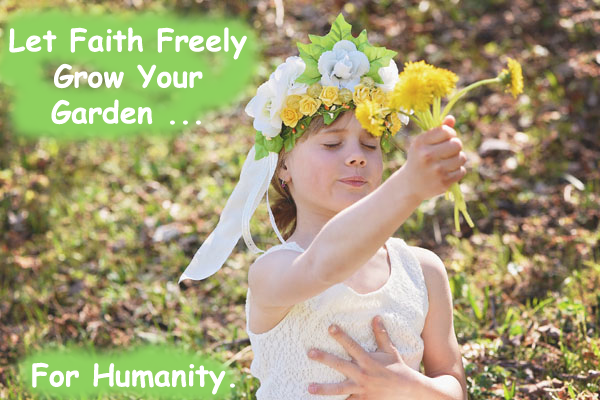 Before I publish this and surrender to sleep so I can be fun fairy me tomorrow, I wish to briefly speak to 2 of our F fostered spiritual literacy lessons … family & friends … and faith filled manifestation. Ooh kinda big stuff for a few words … so it will be up to your meditative mind and faith filled heart to draw what you may need here to carry forward fostering with fortitude! And feel free to share your insights here with me and others too! The above picture is a much younger Jeremiah who I admit in hushed tones that I still miss. In being here now for my 16 year old ~ as well as my 90 year old dad ~ faith is the knowing that the changing landscape of our relationships is strongly tethered in divine order unfolding. The circle of life that holds and loves us can be trusted and is worthy of our faith. As family members and friends change, or even come and go, having faith in our hearts gives us the freedom to keep showing up for each other. As with most of life, I find that if I stay stuck in what is “supposed to or should be”, I will completely miss the blessing of what is. We are always free to feel Love or fear. And whatever doesn’t feel good most likely is (deep) rooted in fear. 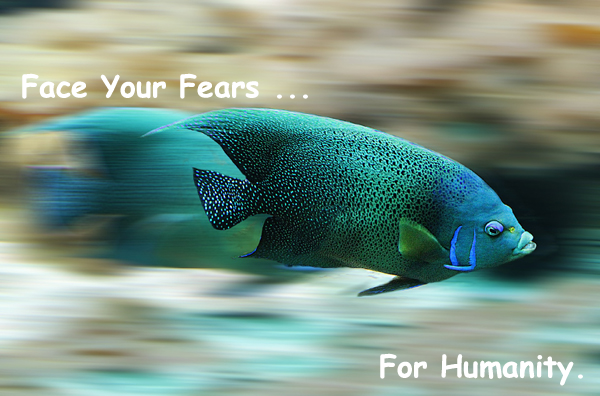 Fear can definitely be a very tricky bedfellow. Lurking in each of us, it often takes awareness to Love it into safety, surrender … and divine order co-creation. The few words I will give this vast subject will mostly be sung below in a vintage music video of “Ask In Faith”. The actual recorded version sample with lyrics is here on the Trust What You Hear CD page. So as the video attends to, the basic formula for Law Of Attraction is found in a bible verse from Mark that reads, “Whatever you ask for in faith, believe you have received it and it will be yours.” For my part, I continue to (re)align all the callings of my heart with this faith filled belief. And you? Be with the song and see what comes up! Ask In Faith is also found on our current Free Shelf with a total of 5 fab songs, Fay’s Gray Bay Laurie StorEBook and Freedom Tales with internationally renowned storyteller Luisah Teish. Thank you for sharing a mindful, faith filled moment here my friend. I pray that whatever you are asking for in faith, you are indeed able to not only conceive but believe and achieve it! 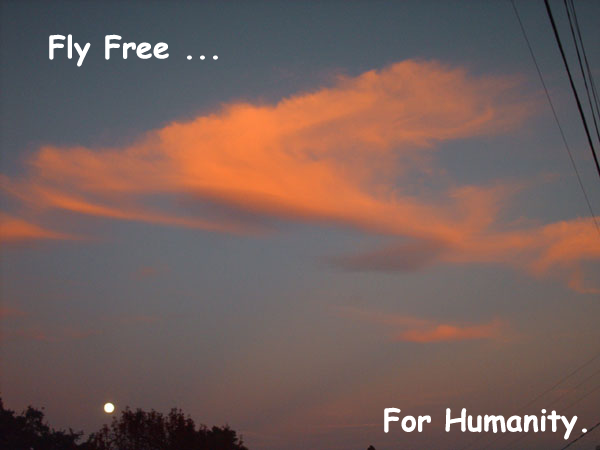 For in this full circle of co-creation, we are truly FREE! Namaste, Love!